Nails protruding from foundation interior - OK to cut? Also, what function do/did these nails serve? Re: Nails protruding from foundation interior - OK to cut? Perhaps there for the forms when it was poured? Or furring strips from a previous wall maybe? No issue with cutting them flush. Side cutters or a cut-off grinder or a sawzall could all work. Those "nails,"as you call them are not really nails at all. 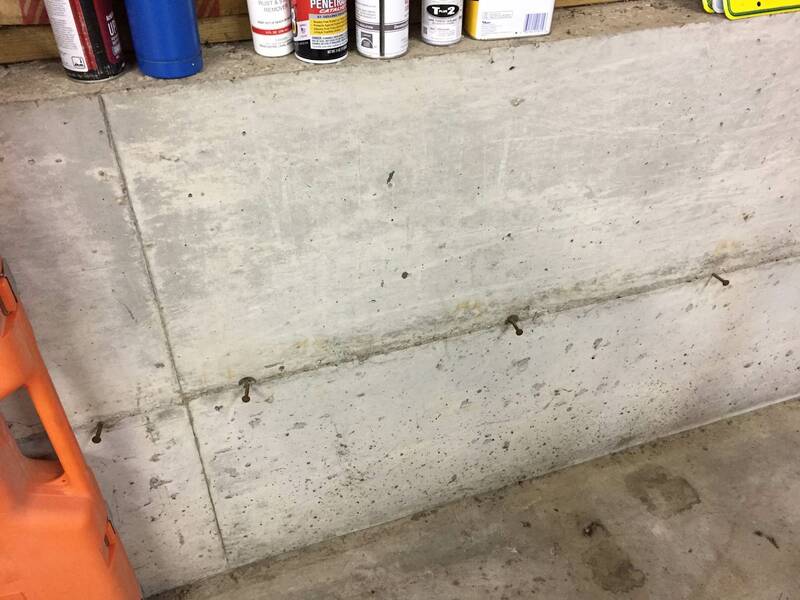 They are called "snap ties," and are used to tie the inside and outside wall forms a set distance apart until the concrete has been poured and hardens. The heads you see are meant to be snapped off after the forms are removed. It's been a long time, but I think you only need to bend the head back and forth a time or two with a hammer and they'll break off. If the "bendy back and forth" method doesn't work you have a good excuse to buy some Knipex Cobolts. Grinder, (18v Milwaukee is priceless) with a steel cutting blade, I cut bolts off regularly when installing replacement steel doors and frames. My M12 die grinder with metal cutoff blades works well also. Nippers and the bend off method often leave sharp ends protruding which have to be ground off anyway. ...and they will bark off just below the surface of the concrete.